Often perceived as a secret society, Freemasonry has been persecuted, banned and suppressed in many countries throughout history. Wanting full and total control, Nazi Germany definitely had no place for Freemasonry and tried its very best to eliminate it. Freemasonry in Nazi Germany was persecuted, not only in Germany itself but also in conquered countries. As soon as Adolf Hitler came to power and started devising the ideal state, he began trying to eradicate Freemasonry and started his Anti-Masonic campaign. Hitler wrote that Freemasonry belonged to the Jews, and while hatred for the Jews was being cultivated in Germany, these claims justified Hitler’s persecution of Freemasons. While some Freemasons were truly Jews, Hitler’s real reason for persecuting Freemasonry was that he was afraid this “secret” society could cause his defeat. Many even claim that Hitler secretly admired Freemasonry as an organisation and wanted to form his regime in a similar way as to the institution of Freemasonry. For this reason, Hitler believed that Freemasonry had to be destroyed so the regime could retain full power. In the early 1930s, Hitler put forward “The Enabling Act” to try to eliminate Freemasons. This Act brought about the confiscation of Lodges, and also including all Masonic properties such as their libraries. 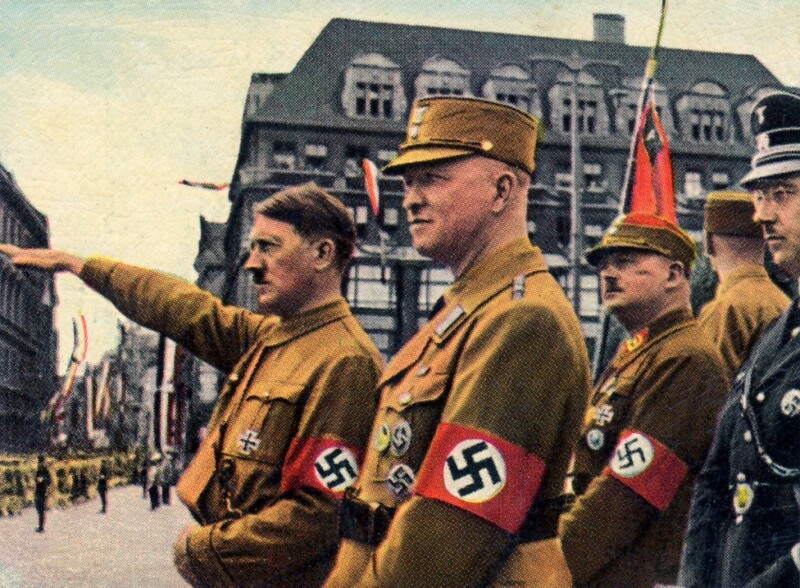 Hitler claimed there is no place for Freemasonry in the new Germany and they were accused of conspiracy. Nazi Germany tried to exclude Freemasons from the state by forcing them to close down Lodges and by limiting what they could do in the State. For example, civil service Masons were forced to leave their jobs, and men had to choose between being Freemasons or state employees. 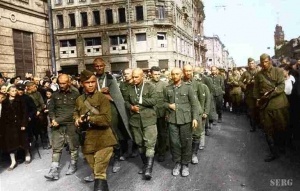 Soldiers could not be Freemasons, and in fact, Hitler’s soldiers themselves attacked some Lodges in certain parts of Germany which had not been successfully forced into dissolution. Freemasons were persecuted under the pretext that they were considered enemies of the state. Many were put in concentration camps where they were treated as political prisoners while many others were killed, even though the exact number of men killed because their affiliation to the craft can never be known. Hitler persecuted Freemasons wherever he conquered, and Germany’s allies were made to do the same thing. Lodges were dissolved and confiscated in many countries by Nazi Germany and thousands were killed. 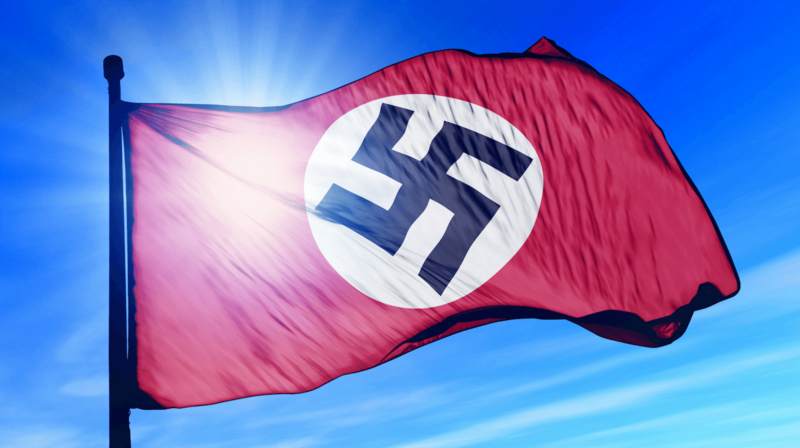 Even though Nazi Germany was doing everything in its power to totally eliminate Freemasonry, it did not succeed as even during this full-blown campaign against Freemasonry and while the persecution was in action, Masons still kept operating, though in hiding. After Germany’s defeat, Freemasonry rose once more in Germany and in the countries conquered by it. Nazi Germany used propaganda to make Freemasons look like enemies of the state and tried to totally eliminate them, dissolving Lodges and confiscating their properties, while putting Masons in concentration camps accusing them of conspiracy. While many Freemasons were killed during this period, Freemasonry rose again and Hitler’s attempts at eliminating it were in vain. Decades later, we still remember these dark times by the symbolic forget me not emblem. The forget me now was introduced in to help identify masons between each other, thus secretly proclaiming their affiliation while in the meantime not promoting it. It is still used today as a sign of remembrance to all those who were persecuted, tortured and killed in Nazi Germany. Thank you for reading brethren, I hope you found this article interesting and enjoyable. Feel free to add your comment below with your thoughts. For more major in events in Masonic history, I suggest you check out our free eBook “10 Major Events In Masonic History“. Good article. You should correct the two instances of “forget me now towards the end. Great article, I already knew the story of the forget me not but it is very important that we never forget what our brothers have been through in the past. I myself wear a forget me not lapel pin. As in the past we are still looked on by some as evil or somehow bad, but I think most are just uniformed. People will always fear what they don’t understand which is why educating ones self is so vital in the pursuit of light. Thank you so much brother for taking the time to further the pursuit of light for us all. You’re very welcome Jamie. Glad you’re enjoying our articles. Thank you both – Masonic Find and Mark Sinus. A couple of very good reads. There is a very interesting book called “El emblema del traidor” that has a very rare story of an emblem whose newer owner received from a supposed member of our craft that escaped Nazi Germany. I have tried to find it on english but all I keep finding is the title “The emblem of the Villain” but no english version to the book. The article glosses over the part where Freemasonry in Germany was divided into multiple Grand Lodges. The constituent lodges belonging to the three Old Prussian Grand Lodges, which practiced Swedish Rite Masonry where only Christians could be members, were not shut down. They merely changed the name of their organisation and continued. The libertarian/humanitarian grand lodges were the ones closed down and persecuted. Suppression of Freemasonry is nothing new and dates back at least to the French Revolution and subsequent paranoia within the British government in those times. It surfaces frequently, especially when used by revolutionary and totalitarian regimes all over the world. However, most governments in advanced nations tolerate the Craft (the 1992 incident in the UK was isolated and ineffective) and although ignorance and suspicion will never completely go away, contemporary Freemasonry is generally held in high regard my Masons and non – Masons alike. The same goes for Jehovah’s Witnesses of which I have had an inactive part over many years now. See our post on how to become one. I am fortunate to have a original forget me not pin..
given to me by a captured Canadian Mason Solider . If accused of being a Mason … Would there be enough evidence to convict you?? A significant Masonic fact .. the forget me not story.